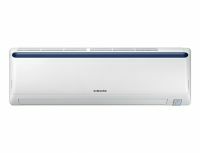 Non-Inverter AC: Non inverter or Fixed speed air conditioning deliver a fixed amount of power via a fixed speed. This means the compressor has to stop and start to maintain the desired room temperature. This means that it operates either at full or minimum speed. Switching on this type of unit will start to run on full load thus consuming more power. Cooling Only: It is a great option for keeping the home cooled off during the hot summer days.